His local ancestry is lengthy: His father’s family settled in the region shortly after the Revolutionary War, his mother’s not long thereafter, and here they’ve stayed. 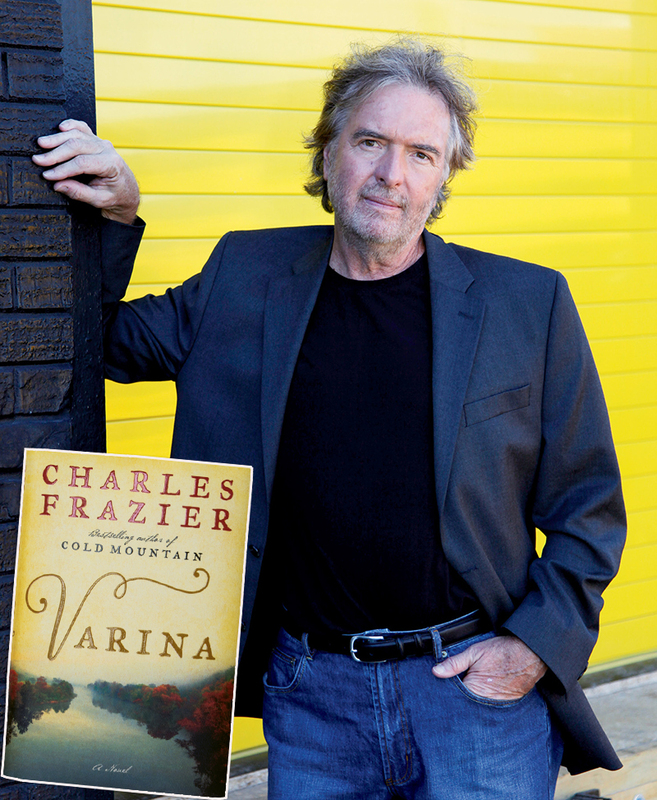 Born in Asheville and raised in Cherokee County, Frazier returned to Western North Carolina for his masters at Appalachian State University, and it was here that he once again returned—this time, figuratively—for his first novel, Cold Mountain. The dazzling tome, now 21 years old, earned Frazier huge accolades, including a National Book Award and multiple Oscar nods for its cinematic adaptation. What makes Cold Mountain (and the novels that followed,Thirteen Moons and Nightwoods) so compelling is Frazier’s graceful depiction of Appalachia, which stands in direct contrast to popularized yarns narrated by chilling banjo plucks and barefoot hillbillies. Though Varina is an embroidered biography of Varina Davis, wife of Confederate President Jefferson Davis, it is also a blunt probe into the culpability of the Civil War and the South’s legacy of slavery. “The guilt that she is carrying for that war and the ownership of human beings is still there with us now,” Frazier says. So what’s next for this native voice of the mountains? For now, he says, it’s not his pen but his bike tires that will follow the sweeping curves of the WNC landscape in search of inspiration this summer.